Destiny 2 director says the beta's giant killer turbine has been changed - "I died to it a couple times too"
The most deadly adversary of the Destiny 2 beta will be less killer in the final version of the game. No, Bungie isn't planning to power down the giant Vex at the end of the Inverted Spire Strike (at least, not that I know of). Bungie's nerfing the surprisingly deadly rods that spin above the shield generator turbines in Homecoming - AKA the very first mission you play in Destiny 2. Speaking on gaming podcast Namek vs. Saiyan (the interview starts around 24:30), game director Luke Smith revealed that The Great Turbine Nerf of 2017 was already on its way even before the first beta player fell to the spinny thing of death. “I was surprised by the turbine, because there’s only one turbine spinning in the shipping game, I was surprised to see two of 'em," Smith said, laughing. "That's a great example of something that we implemented, we found it to be challenging, especially for that opening sequence of the game, and in the shipping game we removed it. There's one spinning turbine instead of two [...] Y'know what, I died to it a couple times too." The Rotating Doom Chamber was symptomatic of the beta's surprisingly high difficulty. Grizzled Destiny veterans would scoff at such simple challenges as they showed off thumb scars won from years of Raid jumping puzzles, of course, but the Destiny 2 beta definitely presumed you had a decent amount of experience with the first game. Smith thinks new players should find Destiny 2 much more welcoming at launch. "In the beta, for instance, we have a tuning for the game that is very challenging," Smith said. 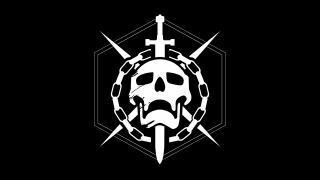 "Myself, a Destiny veteran, [I] was having a hard time with some of the encounters, because it's very thumb-skill intensive. And in the final game players will see that we've dialed some of the intensity and challenge down, certainly in those opening experiences because we want to create a game with Destiny 2 that is a world that pulls you in and helps you learn how to play it, and then finds you people to play with." Read our Destiny 2 info article for more news and check out the cool new gun Destiny 2 pre-orders get.